All we know that Mozila FireFox Vs Internet Exploler is now a burnig topics.which one is best?which one will be better?But,what is about to the mobile browser?is Mozila Firefox or the MicroB browser is better? What might have taken Apple an year an a half to allow VoIP over mobile network but it only took Fring only a couple of days to update their app to make it use for VOIP calls.As recently one of the most popular chat clients Fring for the iPhone is capable of doing voice and video calls over 3G networks. The new iPhone/iPad SDK brought to us one very welcome detail: VoIP calls over 3G are no longer forbidden. 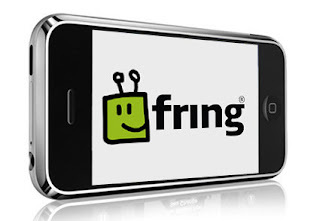 The first company to capitalize on this change was iCall, and now another popular instant messaging/chat client, Fring, has enabled video and voice chat over a 3G connection. To be able to use this new feature of Iphone,you have to restart Fring, and the restriction for 3G VoIP calls will be vanish. Some users may still be getting the message that “voip calls are not allowed…” If this happens, click on “More,” then “Go offline” and then reopen Fring. 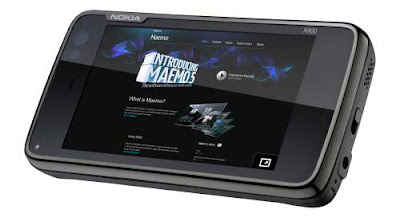 A good news for all of us who are waiting for FireFox mobile 1.0.it has been recently released for Maemo.it has been come with some nice improvements to our wish list. Flash is not of course one of them.It’s disabled by default, but it is not so difficult to get it right back. I am now writing about this how can you enable Flash in FireFox Mobile 1.0. At first you will need to the download the latest version of FireFox Mobile 1.0.you can get it from the Mozilla Catalog repository (which should have been added with the Maemo PR 1.0 update) via Application Manager1. Then type about:config in your address bar. You should get a warning message asking you that you have to confirm that you want to mess with the config options. Click the I’ll be careful, I promise! button2. After that,there will appear a config box, with a search bar on top that coded “Filter”. Type “plugin” into that bar and a couple of options will pop up. The two of them which you will have to change are the plugin.default_plugin_disabled and plugin.disable.options: tap on each one (or use the arrow keys) and hit the enter button which will change it's value from true to false. Make sure you have do this to both options! Then, Close FireFox and reopen it.